Okay, so I’m obsessing over flannels right now! 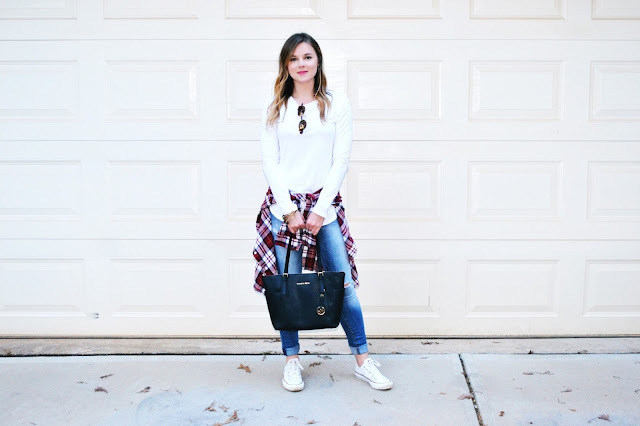 I have been living in them lately and its so easy to make a casual outfit more stylish by adding a flannel. From just throwing them on with a pair of jeans or leggings or tying them around my waist to add an extra pop, they are definitely my fav right now! This flannel is from Old Navy and they have so many cute ones on sale right now! This long sleeve tee is awesome and so affordable. It is also from Old Navy and they have it in lots of colors. I think I bought them all! It is SO soft and versatile, and is the perfect length to wear with any outfit! You can make it casual like I did by adding a colored flannel, or dress it up by pairing it with dress pants and a statement necklace. Definitely a staple for your fall and winter closet! 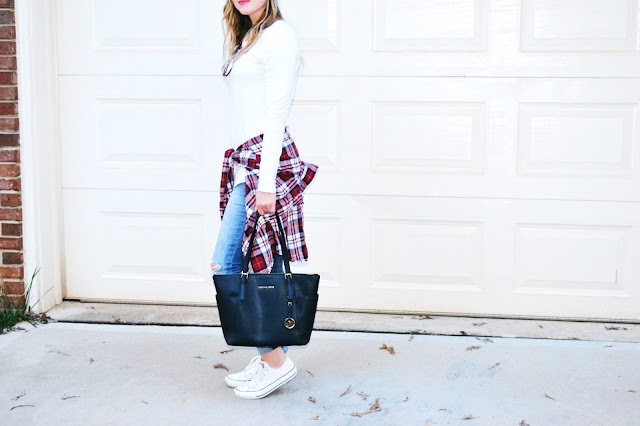 Converses are also a great staple to have in your wardrobe. They are so easy to throw on and head out the door and come in all kinds of different colors, styles and patterns.